With thirteen official princesses, Disney has captured the hearts and minds of adults and children alike. The array of unique princesses follow similar paths of discovery by encountering obstacles and striving for a happy ending in their respective magical lands. From Snow White to Frozen, kids everywhere absorb the values and social norms expressed in the animated films. Disney movies demonstrate more complexity than the simple plot line suggests. Behind the layers of magic, each animated character can often be relatable and realistic, but delving deeper into the characters how the Disney Princess reflects societal values becomes very clear. 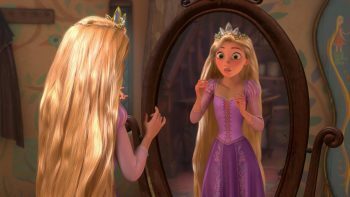 The original Princess characterization is often criticized for its promotion of an objectified female identity. Cinderella enjoys her responsibility to housekeep; Snow White’s naivety leads to her being poisoned; and Sleeping Beauty is saved by a kiss – collectively all these stories reinforces the restriction of women. Not only do these individuals serve as the markers of traditional values, they also leave an imprint on their primary audience: modern, young females. These older movies place an emphasis on feminine appearance and behavior in the creation of a beautiful, pure, and white princess. The timeless white princesses had a significant impact on social behavior, leaving young girls idolizing these figures and wanting to be them. However, as women gained an increasing amount of freedom and social movement, the Disney Princess was heavily scrutinized and seen as an oppressive figure. The Disney Princess went under a radical change that directly correlated with modern times, severing the link between being an objectified female and being a Princess. This notion is seen in the films Tangled, Brave, and Frozen whose release dates spanned from 2010 to 2013. Working to depict a modern Princess, these female characters were inherently stronger than the historic Princess. A distinct characteristic is the female role is driving the plotline rather than being subject to it. Viewers see a Princess in charge in the way that Rapunzel in Tangled hits Flynn Rider on the head with a pot, Merida in Brave hones the skill of archery, and Elsa in Frozen had the ability to escape the dungeon with her magic. These specific plot points give the Princess social mobility. There are many common threads woven throughout to create the modern Disney Princess. We see that despite the common threads, the movies have the ability to build off of each other. In the first modern Princess movie, Tangled, the conflict between Rapunzel and Mother Gothel led Rapunzel to demand help from the male role. Though needing the help of Flynn, it is on Rapunzel’s terms and initiation. Brave poses a slightly different issue as Merida counters the tribe’s ancient tradition of picking a husband with the advice of the Queen. 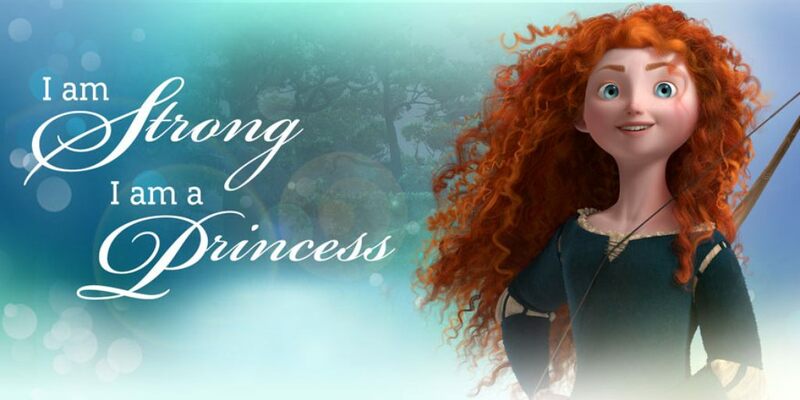 Here, Merida differs vastly from Rapunzel as she individually escapes the central conflict. 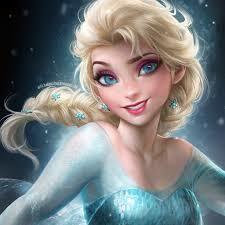 Frozen is the last of the established Disney Princesses being released in 2013. The entirety of the movie works to combat the notion of “love at first sight,” using that cliché as catalyzing the conflict. 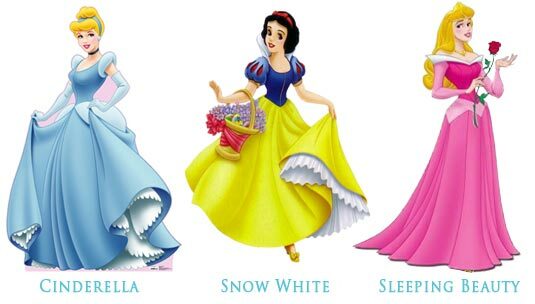 Despite the positive intention in redefining the behavior of a Princess, there is an obvious lack of racial diversity. Rather than emphasizing a freed woman figure, Disney’s primary focus through this cluster of movies is the independent white woman. This lack of diversity creates a realm that limits the success of the princess to her white woman privilege — detracting from the ideology that all women are equal. Another exception to the modern Princess being the idealized princess is Princess Tiana in the Princess and the Frog. This movie was intended to bring racial diversity to the line of princesses with Disney’s first black princess, but created more disparity from the white princess. In creating the identity for Tiana’s black princess role, Disney factored in how race works in conjunction with the societal roles. Unlike the inherently royal Rapunzel, Merida, and Elsa, Princess Tiana came from a humble background, working as a waitress at a restaurant. Not only did Disney use the historical black societal role to inform a modern-day Princess, but Disney created a character that encounters racist comments, the racist caricature of the toothless firefly, and voodoo throughout her archetypal journey. However, a distinguishing factor of Princess and the Frog is the color of the Prince. 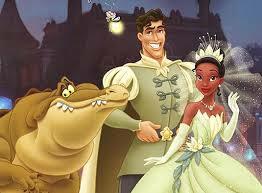 Disney seemingly equalizes the novelty of a black Princess with a white prince. In creating this mixed gender marriage, Disney sends the message that a Princess can only reach success and happiness with a white counterpart. Here, the mundane black female relies on a white prince to move up in the world. The movie also speaks volumes about the African male, giving the connotation that the male minority is not “fit” to be the Prince by making him white. Whether the white Prince character impacts the audience’s view of the African American male or demonstrates the inability for a minority female to succeed on her own, Disney debases the minority woman. With a changing and increasingly progressive world, Disney has changed the depiction of the iconic Disney Princess. Yet in the process of giving freedom to women, Disney has created two tiers of princesses: the strong, independent white Princess and the strong but dependent minority Princess. So sit back, grab a bowl of Orville’s finest, and come to terms with the new Disney. The racist feminist Disney. Ashni Gandhi is studying at the University of Illinois majoring in English. She is also a reporter for the Daily Illini. Alright..in regards to Prince Naveen…he is not white. He isn’t black he isn’t white. Also..assuming you watched the film, his parents cut him off financially. He is literally broke. (He only went to New Orleans to marry an heiress.) He even confesses to Tiana that he does not know how to do ANYTHING. Tiana actually creates in him a desire to do..he develops a work ethic and assists her in building her restaurant. (It IS her money from her multiples jobs and the influence of her alligator friend that gets her the property) The prince does teach her how to dance though..so there’s that. Disney does not promote the independent white woman. It promotes the immature pedestalized, can-do-no-wrong white woman. Not quite an independent woman, quite the opposite. This article appears to be poorly researched in terms of its basic premise, that is that Disney is responsible for the plot lines of classic fairy tales like Cinderella and Snow White. These stories were written eons before Walt Disney was even born. What about the horrible depiction of women by Bollywood? This author comes across as racist and filled with jealous rage.